Hands on tutorial with everything needed to create eye-catching scenes and animations. A variety of modeling techniques are demonstrated, as are character animation styles, rendering and post-production options, and version 5.5's new cel animation feature. 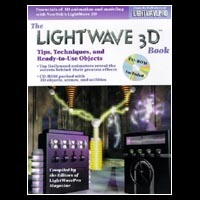 The CD-ROM contains demos of popular freeware plug-ins; sample models in .lwo and .dxf format; example scenes, objects, animations, audio clips, envelopes, images, and motions; and sample tiles and textures. Serious animators will learn dozens of tricks from these illustrated and detailed Lightwave tutorials by pro animators who work on television shows such as Star Trek: Voyager. The easy instructions and tutorials include specific parameters and settings and cover 3D object creation, refractions, lens flares, live video compositing, and more. Drawing on a wide range of real-world examples, this book provides a set of skills and techniques that designers will need to master no matter what program they use. It covers 3D photorealistic modeling, surfacing, and staging. 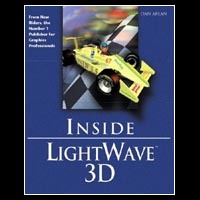 Examples from the following programs are included: LightWave, 3D Studio Max, Form Z, Electric Image, Softimage, and Strata. 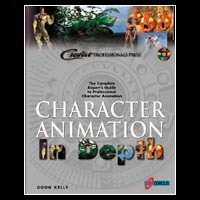 Character Animation Enhanced is the first complete reference to all key character animation resources. Provides readers with feature-by-feature product comparisons that help them choose the right tool for every character animation task. Includes at least one tutorial for the software package or plug-in reviewed. Never forgetting that "the human form is the most valuable and challenging resource in fine art," 3-D Human Modeling and Animation helps make the transition from 2-D to 3-D--working with height, width, and now depth--easier. 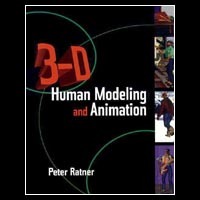 Student artists and animators learning or expanding their skills for modeling and animating digital humans will find this book a great resource. Creating realistic animated characters and creatures is a major challenge for computer artists, but getting the facial features and expressions right is probably the most difficult aspect. 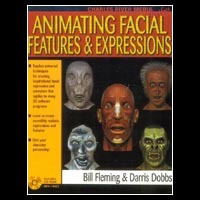 In this one-of-a-kind book, readers will find an in-depth resource to guide them through the entire process from the history of facial animation and anatomical structures, to expressing emotions and speech visually. An indispensable tool for animators of all levels. 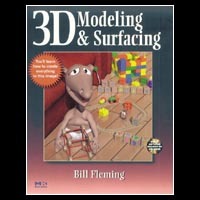 Whether you're stepping up from 2-D or just want to delve into the 3-D arena, check out 3D Modeling & Surfacing. 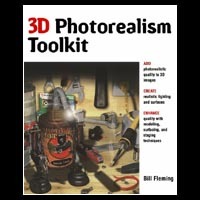 This book explores the basics of modeling and surfacing (much more than animation) and introduces you to the features and tools common to 3-D software programs. 3-D terms and techniques are demystified for beginners in a way that is terrific for those new to 3-D graphics.